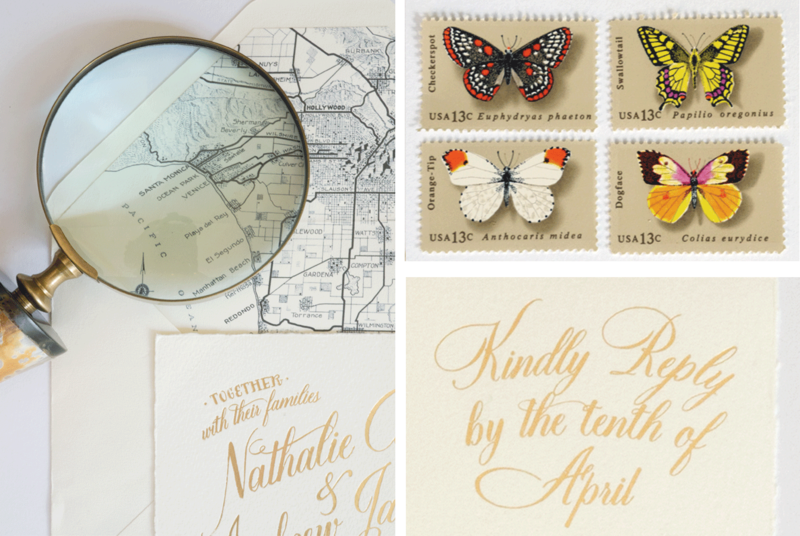 It's all about the fonts for this wedding invitation. 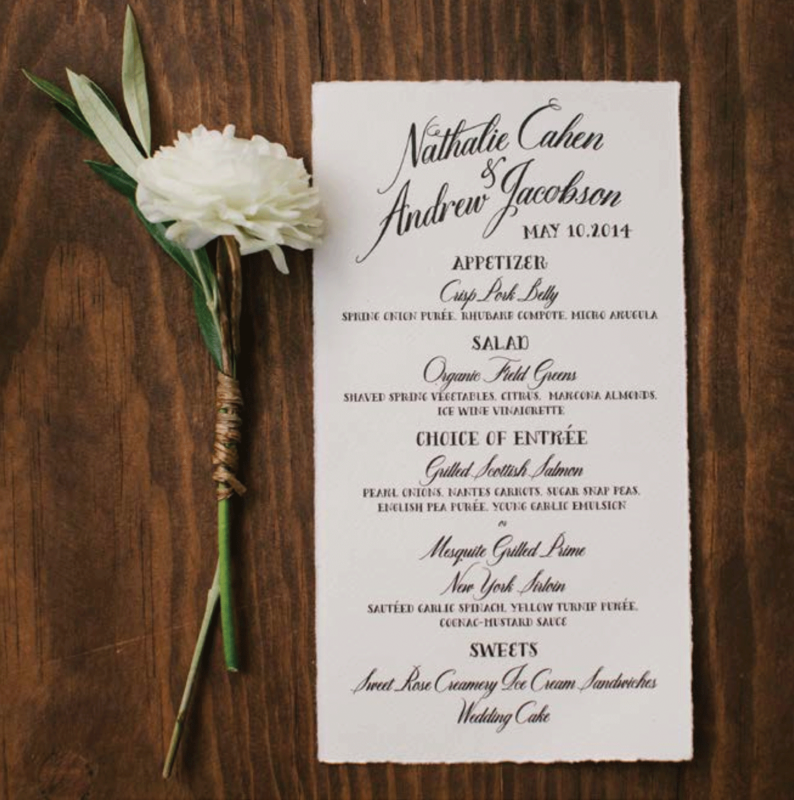 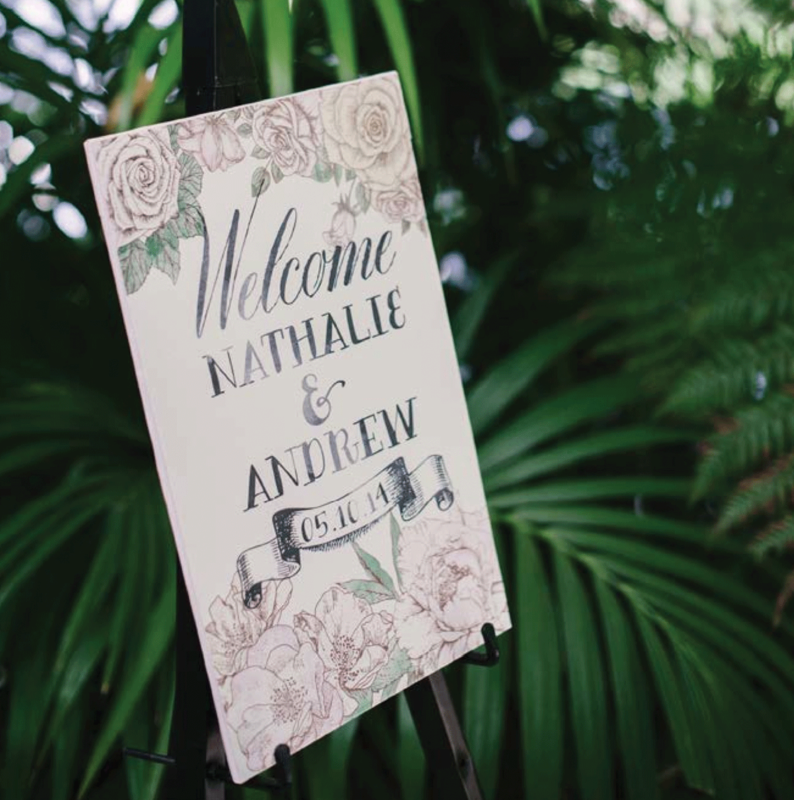 The bride's love of hand lettering was the inspiration behind this simple, yet elegant invitation. 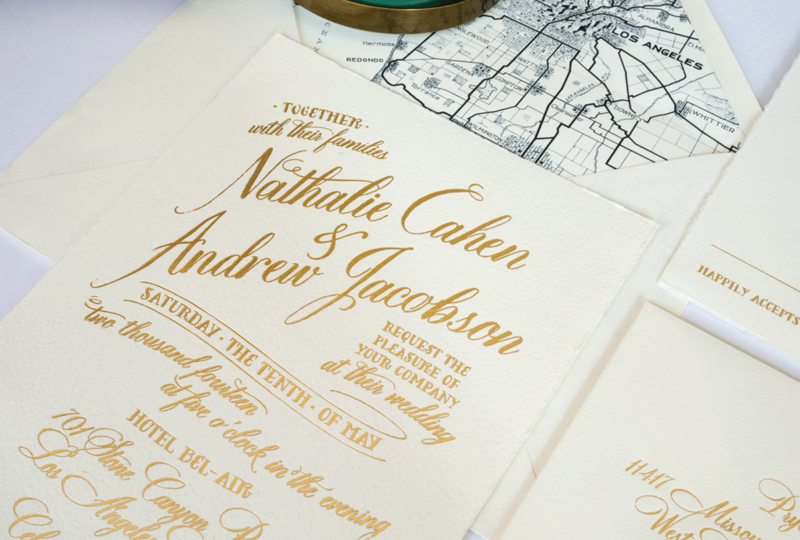 Gold foil stamped on thick Italian deckled edge card stock. 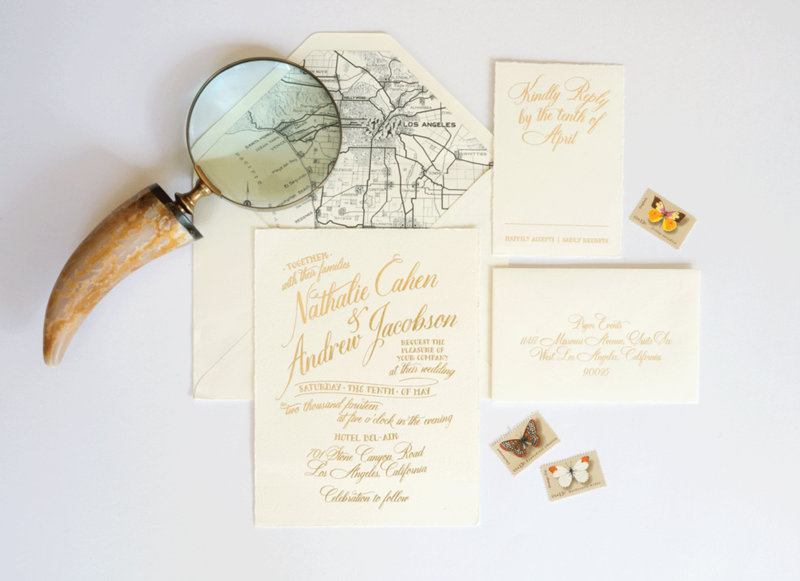 The wedding suite included an invitation, envelope lined with a custom printed vintage map liner and rsvp set.